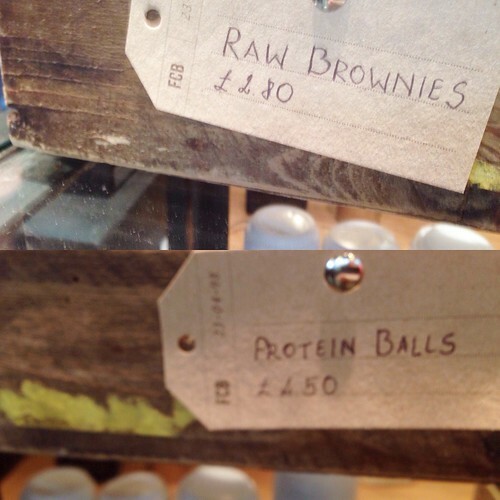 I had neither the Raw Brownies nor the Protein Balls at the trade show in London. I'm not especially fond of chocolate or intrigued by balls of protein. I had two of these things. They had a long name that ended with Merveilleuse so how could they be bad? 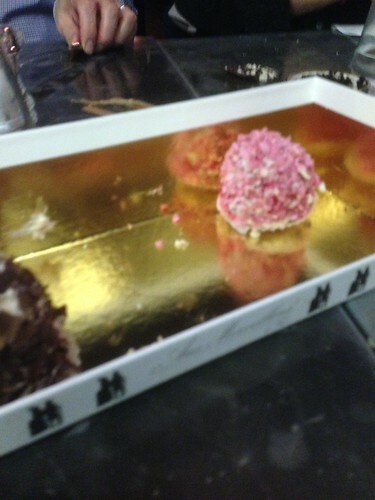 They weren't bad: kind of a crushed up macaron with whipped cream and something else. One of my co-workers brought them to a restaurant and then pretended it was her birthday so we wouldn't get in trouble for bringing our own pudding. This is the second time I've had this Little Pot of Chocolate on BA and I really liked it (despite not caring about chocolate). Worth flying BA for even if the flights back to NYC are on older shabbier aircraft. My favorite gummies. 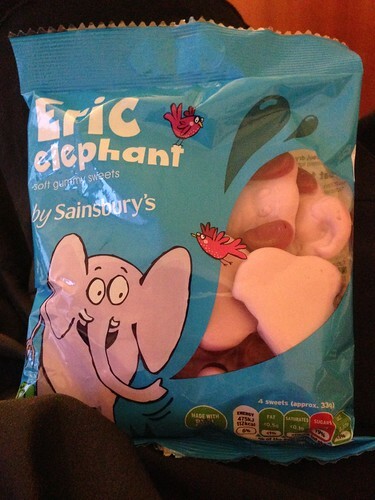 I had thought I had bought them in Germany but realized they are a Sainsbury's special. 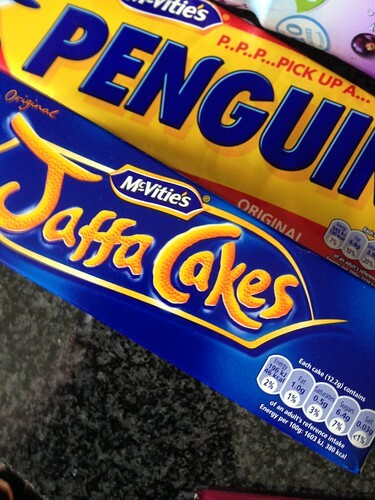 Brought these home - have tasted neither. Have I mentioned these? Bought them at the trade show and proceeded to be unable to dispense them. Passed them to someone more important in our booth and it took him a few minutes to figure it out. Fell in love with them, brought them home and have been teased mercilessly as they are old-fashioned? Out of fashion? I had no idea until someone said: oh, Smints, haven't seen them for ages! 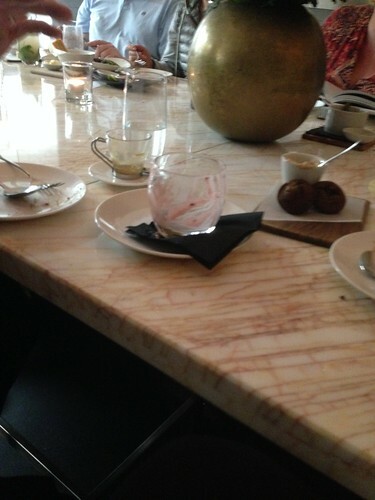 I'll never stop talking about the Strawberry Mess at Nopi. Just home, we ran down to Virginia where the food choices are very, very different. We begin at a Waffle House where I was astonished when Middle ordered The All American: grits, eggs, toast, bacon AND waffle. And he ate quite a bit of it. I didn't pay a lot of attention - he might not have eaten much for the next two days. So many chip choices in Virginia. Not eaten. Those would be hot dogs wrapped in pretzel. Not eaten. Late night purchases for our rental house. The tarts were mine and Oldest's. 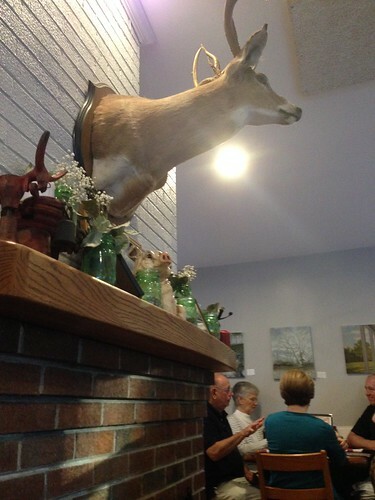 Truly great beef brisket at this place which felt like a farm-house but which was a converted gas-station. EATEN. Fourth catered lunch I have arranged in recent months, quite good, with adorable picnic wrapping. Half eaten. The comfort of frozen ravioli (but good ones!) with butter and garlic and pepper. 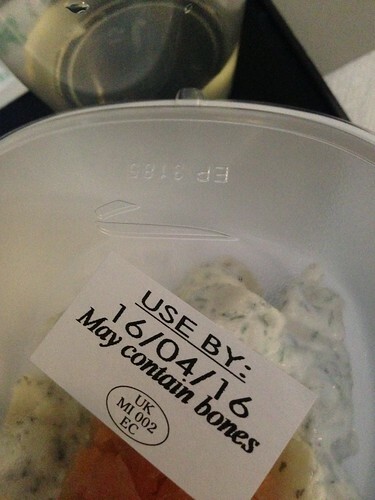 I would have eaten a second bowl. So happy to be home this weekend. K has just arrived with a gift of these as he knows I love ginger. The packaging is impenetrable but the gingers are small, which is nice as they are very chewy. Oh you eat well! And adventurously. I'm a huge fan of Waffle Houses. They're just so...kitschy. Like Howard Johnson's, remember those? I LOVE Chimes. A friend got me the mango ones once, and I ate the whole bag in one go. They are all over the shops of Northern Virginia these days; clearly not hanging around the chips. OOH.. You missed out on the pretzel dog. They are delicious. Not healthy, but tasty! I love Smints! I give them to people and always tell them "they're IMPORTED." The strawberry mess--is it berries, whipped cream, and meringue? I've always heard it referred to as Eton mess. Were people being snobby? Is this marketing? Should I start talking about Miss Farmington's Brownies and Andover Academy Oatmeal cookies? Hmmm? The food in Virginia is quite scary. Didi I ever tell you I am the biggest ginger lover in the world? I even named our cat Ginger (very original no?). And I make my own syrup and candied ginger almost weekly.